Our Tiny Champs program is a program specifically designed to meet the needs of preschoolers (3 & 4 year old). In this program children have a BLAST while learning important developmental skills. Developing confidence, coordination, balance, and social skills through fun martial arts based games is our prime objective in this program. Our Little Champions Program is a fun pre-martial arts program for 5 &6 year old beginning school aged children. This high energy program will allow children to burn off energy in a safe and controlled environment. Our Little Champions will become more fit, while developing respect, coordination, listening skills and confidence. These are life skills that will help them be successful at both home and school. 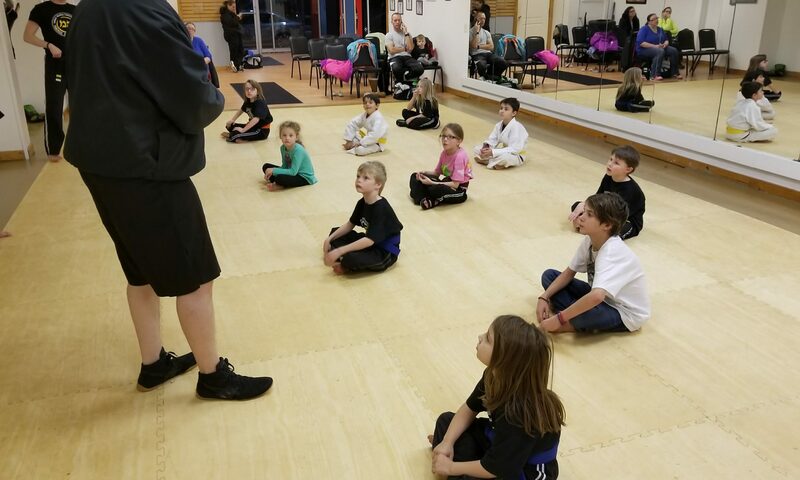 In this program young students will learn aspects of Krav Maga self-defense; learning to stay safe from both predators and bullies; the fast and powerful movement and striking of Kickboxing; and the great kicking techniques of Tae Kwon Do and Karate. In addition, youth students have access to our full character education program to learn respect, self-discipline, determination, and focus! This is all done in a kid friendly environment designed to build confidence. Students love the fun classes. Parents love seeing their kids get in great shape and practicing positive character traits!